Congratulations to "Dee", the winner in Regan's giveaway. Thank you to all who participated! First-responders are vital, everyday heroes in our communities and they have a place of honor in my heart. I am forever grateful for the swift response, expertise, and compassion of the firefighters who saved our house during a New Year’s Eve party when I was a kid. Many years later, again on New Year’s Eve, another fire department risked icy roads in the wee hours to answer a false alarm sent by our security system. Then there was the sheriff’s deputy who gave me a ride home when my car was totaled in an accident on the interstate a week after I’d moved to a new city and I didn’t have anyone to call for a ride. The paramedic team who helped my daughter during a severe illness when I was nearly a thousand miles away, the cop who kindly got my mom home after she got lost in an early-dementia episode, the list goes on. 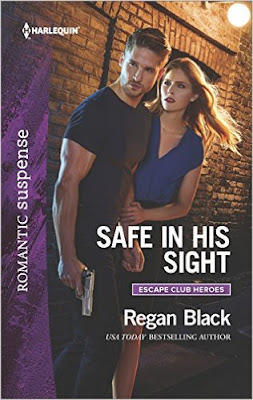 While planning the Escape Club Heroes series I wanted to give the stories a special anchor where readers could meet everyday men and women, first-responders, determined to prevail over tough circumstances. 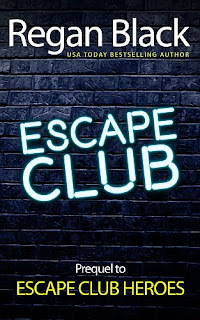 With the Escape Club, a riverside nightclub known for hot bands as well as a quiet reputation for helping people with problems that fall through the cracks of typical law enforcement, I finally found the right balance. There are heroes all around us, every day, some of them in uniform and some not. I count my husband as one, for being my rock through the highs and lows of life. My grandmother will forever be hailed a hero for her wit, patience, and wisdom that influenced countless people in her community as well as three generations of family. Julia and Mitch of Safe In His Sight felt like dear friends and true heroes to me as I wrote their story and I hope you’ll soon feel the same way. 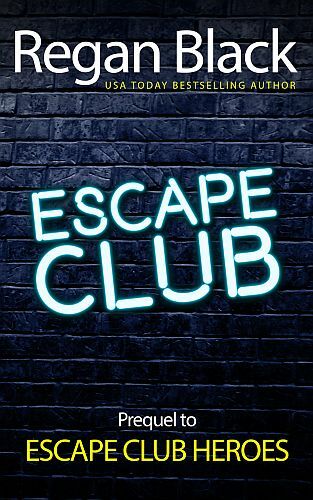 Don’t miss Escape Club, the short-story prequel to this series and keep an eye out for more Escape Club Heroes on the horizon. For a chance to win a signed copy of Safe In His Sight plus a $10 Amazon gift card, leave a comment about your favorite real-life hero below. …an adrenaline-fueled romance in the new Escape Club Heroes series! Giveaway ends 11:59pm EST Sept. 3rd. Please supply your email in the post. You may use spaces or full text for security. (ex. jsmith at gmail dot com) If you do not wish to supply your email, or have trouble posting, please email maureen@justromanticsuspense.com with a subject title of JRS GIVEAWAY to be entered in the current giveaway. School teachers are heroes to me. They not only educate our children but support them, encourage them and often give them the love that isn't received at home. Great post,thanks for sharing! I remember reading an article "Rome police cook pasta for elderly couple heard crying in their apartment" and thought to share it. It's more of an act of humanity that heroism but great nonetheless. Wonderful article, Natalija! Thanks for sharing it. I have both family and friends who are nurses. That's a tough job and they are heros to me. They put up with a lot of stress and tough shifts while trying to help people. I agree. Nurses are another type of first responder - they are definitely in the front lines for us every day. But really, they were some tough people I know my whole life! My dad is my fav hero... I grew up seeing him do what he could for our town as both a cop, but also a volunteer firefighter. Once he even went back into a burning building to save a fellow firefighter that was injured... he was burned in the process, but the two of them have been best friends ever since. Your dad is a great hero, Colleen! My Brother-In-Law is a real life hero. He's a medic in the Navy. He's been overseas three times saving lives. One of those times, he volunteered to go back when he learned that the Marine platoon he previously served with was being shipped out again. That's fantastic, Mandy. Tell him our family thanks him for his service. My parents are most definitely my heroes. I am one of seven children. We all had such an amazing, wonderful childhood. Terrific real life heroes, Bube. My favorite real life hero, my sister. Right now she's coping with my brother-in-law's alzheimers and it's not easy. She is a very strong person and I'm proud to call her my sister.